The Research group Soil and Water Quality in the Environment works on the design, conception and monitoring of vegetation filters (Land Application Systems) . 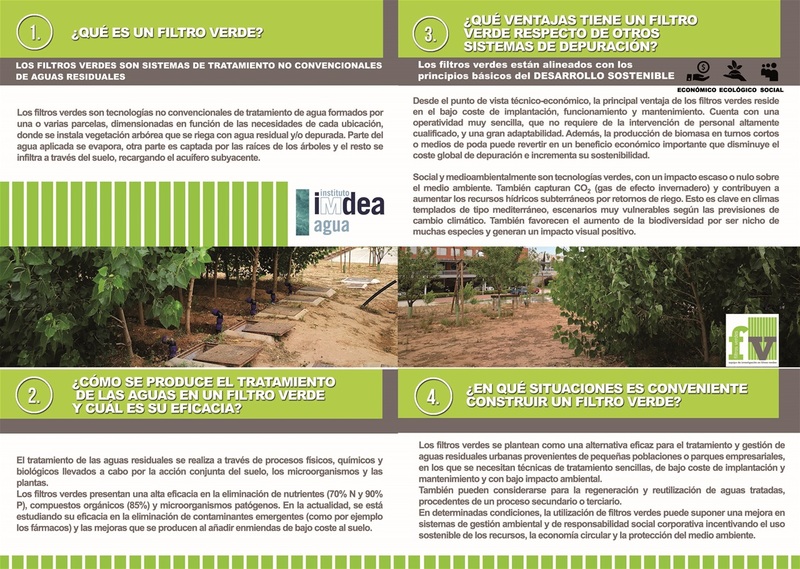 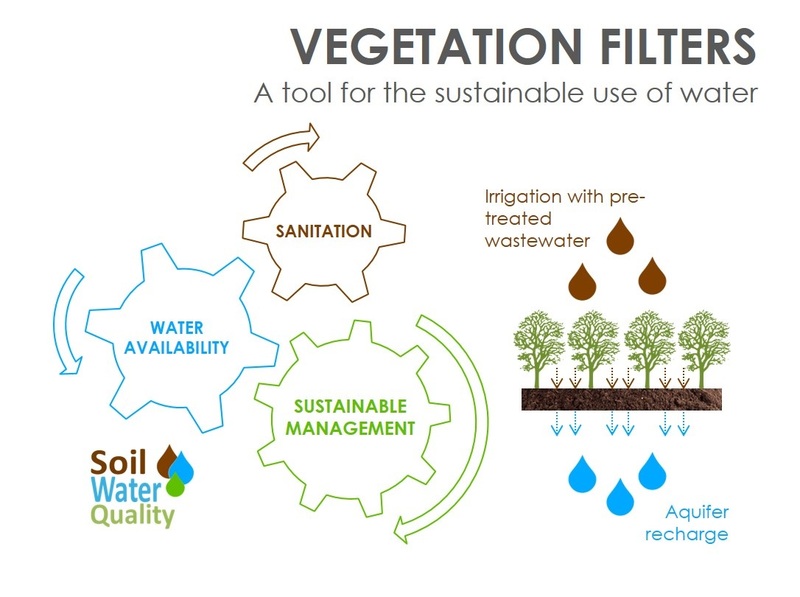 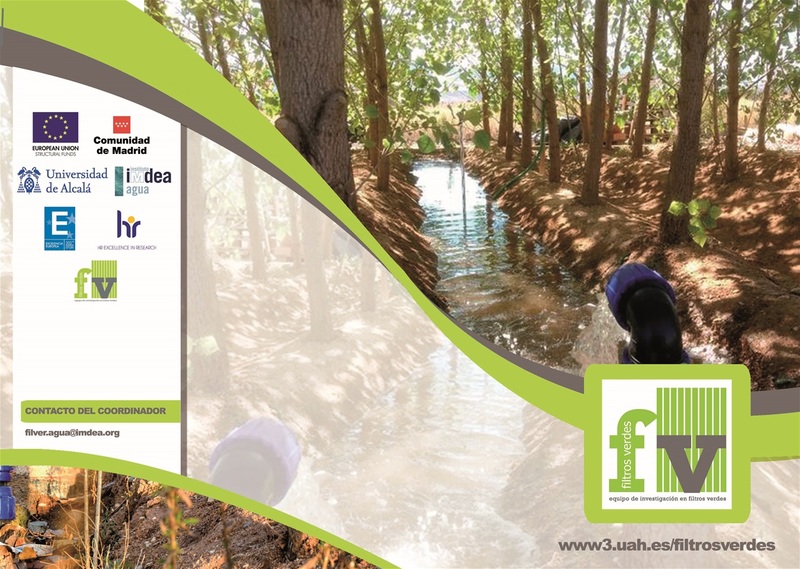 For more information, check the website Filver of our research team in vegetation filters or the Technological Offer of IMDEA Water Institute. El grupo de investigación Soil and Water Quality in the Environment trabaja en el diseño, concepción y seguimiento de filtros verdes. 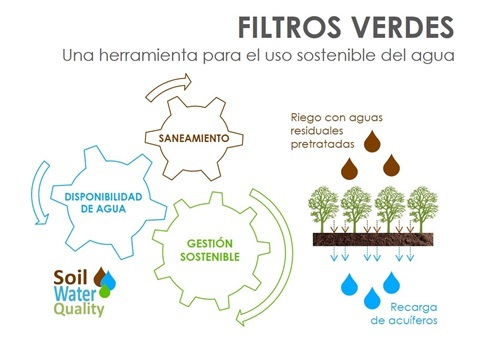 Para más información, consulta la web Filver de nuestro equipo de investigación en filtros verdes o la Oferta Tecnológica del Instituto IMDEA Agua.